The global economy offers myriad opportunities for growth. It also contains serious hazards and challenges, particularly at times like today, where international trade relationships are changing. By mitigating risk and identifying growth opportunities, your business can navigate the sometimes-turbulent waters of international trade successfully, breaking into new markets while managing your risk. Staying on the right side of “Know Your Customer” laws is another important aspect of doing business internationally and having access to real-time information showing the beneficial ownership of companies can be essential in that effort. Real-time or same day reports available to help you make confident decisions with the freshest data in the market. Covering over 225 countries, dependencies, and territories, you can be sure that you’ll get the insights you need to effectively assess risk on businesses overseas. Superior data quality from top tier international credit bureaus and Experian partners for comprehensive intelligence you can count on. 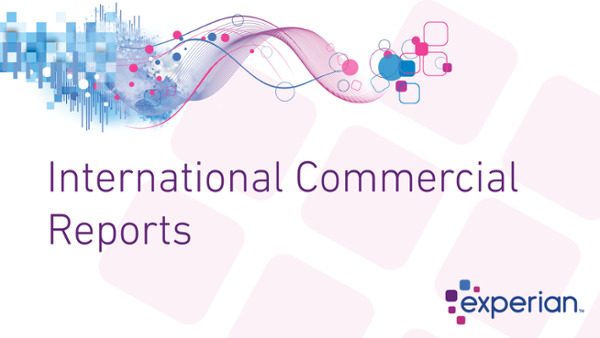 If your business is looking to expand into new regions of the world, or perhaps just need access to fresh, up to date information on new suppliers and customers, you should visit our International Resources for more information. Global trade is presently in a transitional phase for many U.S. businesses. Having access to the very latest data on International businesses can be a critical success factor.